In an ideal world you’ll never have to borrow money. In an ideal world, you’ll buy your house and cars for cash. In an ideal world, you’ll have cash to cover emergencies. In an ideal world, you’ll never overspend and get in trouble. In an ideal world, I’ll look like Julia Roberts and be a Hollywood star. Thing is, we don’t live in an ideal world. Just look at me. I look like…well, like me and I’m a university professor, not a movie star. When I was young, I often ran out of money. Heck, when I was in my mid-forties we ran out of money and found ourselves in too much debt. When I was young and living in Sofia (Bulgaria) sometimes I’d literally run out of money. At times, I was so skint that there was no money for food. I was young, I was on my own and I was skinny – still, one needs to eat from time to time. More seriously, I had no money for cigarettes. (Yeah, I used to smoke at the time.) You know how it is with addiction: you have to feed it. Went to Stella and George’s for my meals. Stella and George were good friends and fellow addicts; so there were always cigarettes offered as well. Asked around and eventually found a friend who had some spare cash to lend me. Pawned my typewriter. Yes, darlings, this was in the time of typewriters. Pawning mine was always a high risk operation of military precision: had to time it so that I didn’t need it to earn. Once I sold a gold ring. I’ve always had jewellery and a lot of it came from my mum. I did sell a rather substantial gold ring and still regret it. In final desperation, I’d phone my dad and ask for money. Now, this was humiliating but the money was usually wired to me within couple of hours. When we found ourselves in a financial pickle five years ago, we had a different approach. This time we consolidated our credit cards, borrowed from our bank at a lower interest and secured the loan against our house. What a bother this one was and I’m so pleased it is over: we paid all the debt in three years and now can look at the world differently. Thing is though that it doesn’t matter whether you pawn your typewriter, borrow from your parents, max out your credit cards or you take out payday loans on line: the rules you have to keep in mind are the same. Here are the 10 rules you have to keep in mind when you borrow money. #1. Borrowing is not a substitute for earning: Anyone can get into a situation where they have to borrow money from time to time. If this happens too often you have to look very carefully at your income: it’s a sign that it is not enough for your life. If you can’t change your income, you’ll have to change your life. #2. Borrow money as a last resort. Never borrow money lightly. Try to find another way first. Yep, it is better to sell something. Even better to earn a bit of money on the side even if you have to do work you’d not consider normally. When we were in debt, I thought of applying to stack shelves in a supermarket – they didn’t want me because I have two PhDs. Then I started writing! #3. Don’t borrow for rubbish. This is my way to tell you not to borrow for consumables that are not immediately necessary (like food, for instance) and items that…well, you can go without for a long time. If you are thinking to borrow money for a new pair of designer shoes, don’t do it. If you don’t have enough money to buy Christmas presents to all your family and friends – don’t do it! #4. Borrow money for things that make money. Yes, this makes sense. Particularly if you have access to very low interest borrowing. You have to be really certain though that what you are buying will make you money (and this is the hard part, trust me). #6. Trust your lender. See rule #5 – trust is not a feeling when you borrow money. Trust is a result of well informed decision. #7. Make sure your lender is regulated. It doesn’t matter whether you are in the US, Europe or on one of the other continents. In most countries, there are authorities that regulate lending. Make sure that the lender you borrow money from is regulated. Otherwise, you may find yourself in a cowboy nightmare scenario. #8. Loans are not for Christmas. While you may decide to borrow money so that your Christmas is ‘magic’ (I’d never do this one but then again, it’s your life and you can waste it if you wish) your loan will endure. Don’t ignore it; it is there and it will need to be paid off one day. The sooner you pay it off the better. #9. Mobilise your support network if you have it. Most personal finance will tell you not to borrow from family and friends. I think that people should use their support networks in times of crisis; and family and friends are your network. Call your parents if you are in trouble – just be straight and don’t mess about. You have to pay back the money you borrowed; you’ll have to respond in kind if and when these people need you as well. #10. Have a repayment plan before you borrow. This is most important. It doesn’t matter who you borrow money from: if you don’t have a plan about how to repay the loan before you borrow, you’ll get in trouble. These are the 10 rules I keep in mind when I borrow money. I believe they are all important; still I’m particularly fond of #3 and #9. Do you have any rules to add? I really like #1. Instead of asking how you can borrow money for something one should be asking how to earn more to pay for the need / want. You will feel better about yourself if you do deliver pizzas for a few months for the extra cash to buy something versus getting bills in the mail for the money you owe! Its like I told my kid this past summer: “Mow, dont owe” as in go cut some lawns for the extra cash you need for a car. I love this checklist. I think most have had financial difficulties in the past and there comes a point where we really have to take a very hard look at our finances and what exactly is the root cause if we are consumed in debt. All of these points are so very powerful. When it comes to borrowing money, the first thing that comes to my mind is am I in a cycle of borrowing? If the answer to that question is Yes, then I know I must make changes to my financial situation and my practices as it relates to my money. If not the cycle of being in debt never ends. Also I think when we borrow money we should not take it lightly. This should be a last resort and especially so if we borrow from friends and family. We must take borrowing money seriously in my opinion. Thank you for a very informative and thought provoking post. 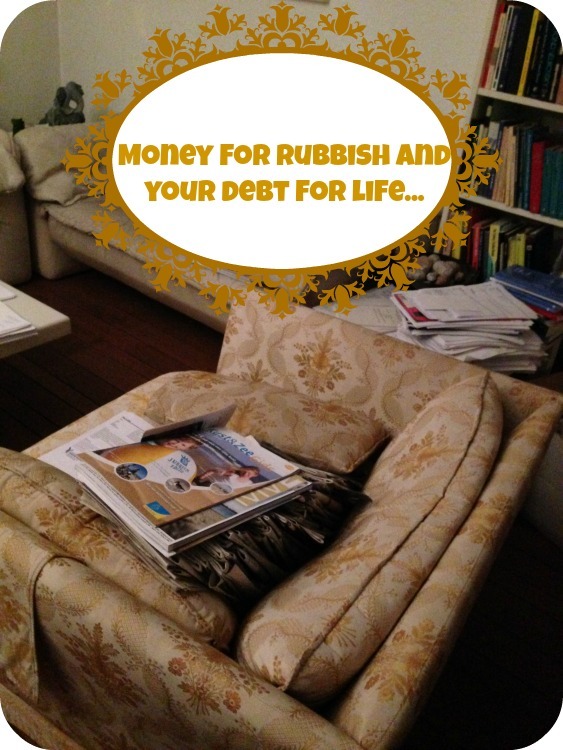 I found this post through Frugal Living tips and I really enjoyed. All the checklist are great. You are absolutely right in this post about borrowing money. I don’t really like borrowing and when I look at his post, it reminds me why. I like #2, #3, and 9. I would rather earn or sell than borrow. Thanks for sharing this info.